August is now upon us and many mothers in the northern hemisphere are starting to think about back to school, including backpacks. Here is an awesome pug dog backpack sewn by Jen of J Wo sews. She started out with the Penguin Backpack pattern that is found in the Oliver + S Little Things to Sew book. With just a few very clever modifications she made an amazing transformation! To learn more about this backpack and see photos of the details, check out her blog post here. In case you didn’t know there is currently a Little Things to Sew Cover to Cover Challenge going until August 31st, so there is still time to join before the end. How many projects from the book have you sewn? 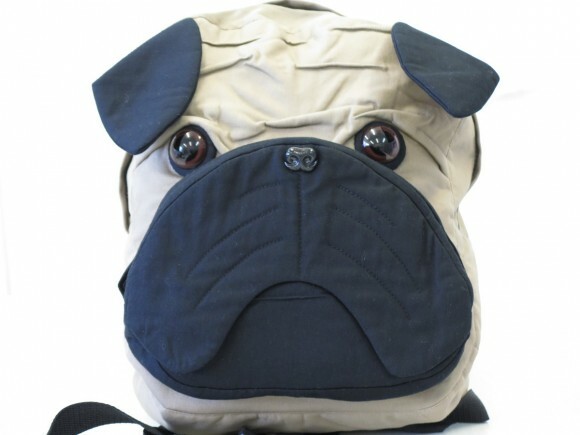 What a cute pug backpack! You need to create a pattern with directions because I would buy it. That is adorable! My daughter saw this pictures and immediately requested one.